Derived from the middle ages this greengage is popular for its classic gage flavour. The gages are produced from early August and are greenish yellow when ripe. Although the fruits are relatively small the flavour is wonderful. 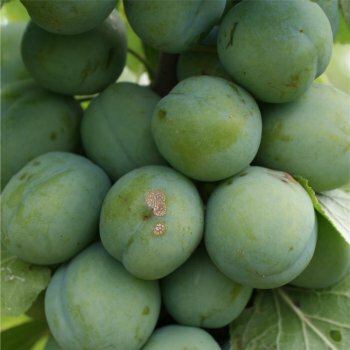 A traditional favourite, the Old Greengage is self fertile and doesn't require a pollination partner. Plum, Gage & Damson trees will not grow happily in a pot long term, they need to be planted in the ground. All other fruit trees can be container grown. Plum/gage trees should be planted at a minimum of approx. 3m between each tree. Our pot grown Old Green Gage trees can be planted at any time of the year, whereas bare root Old Green Gage trees need to be planted between November and March.